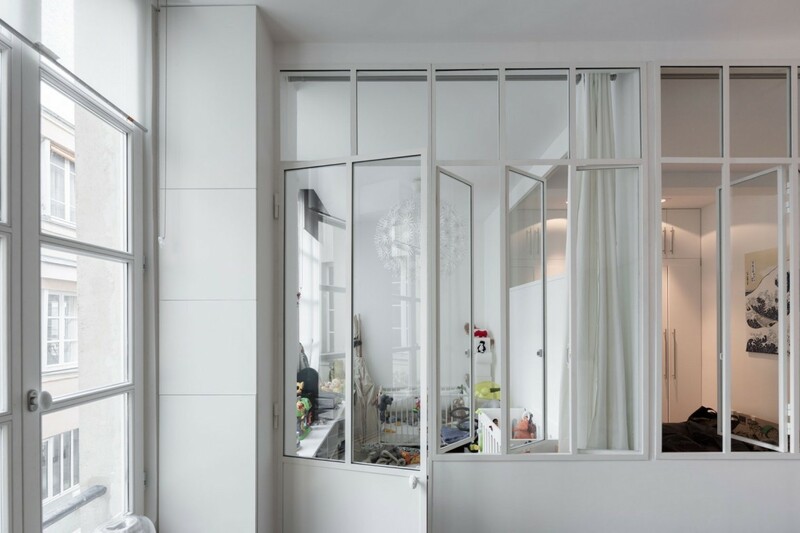 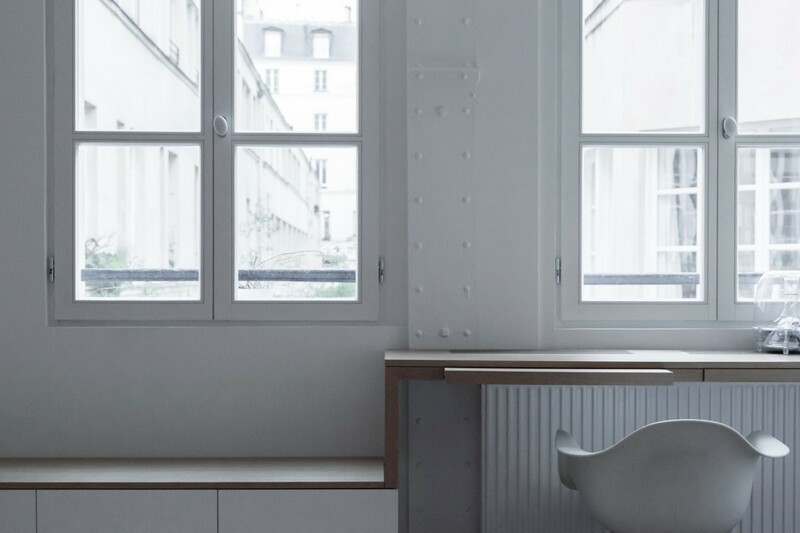 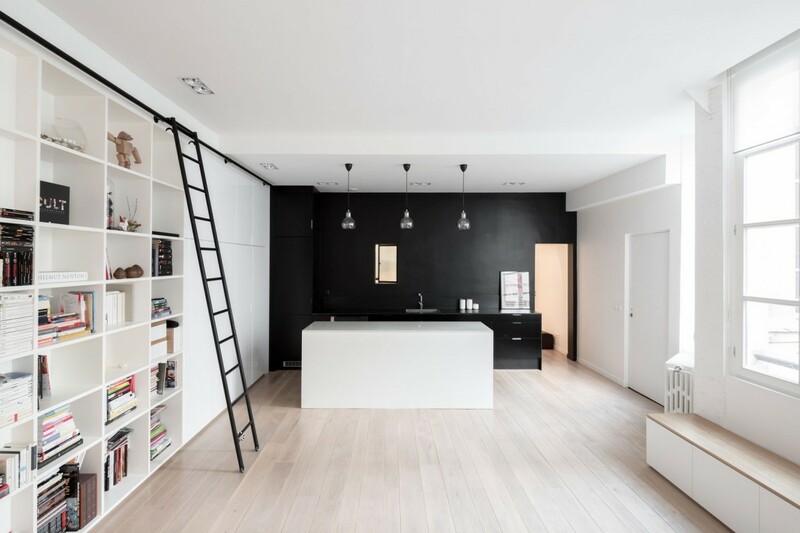 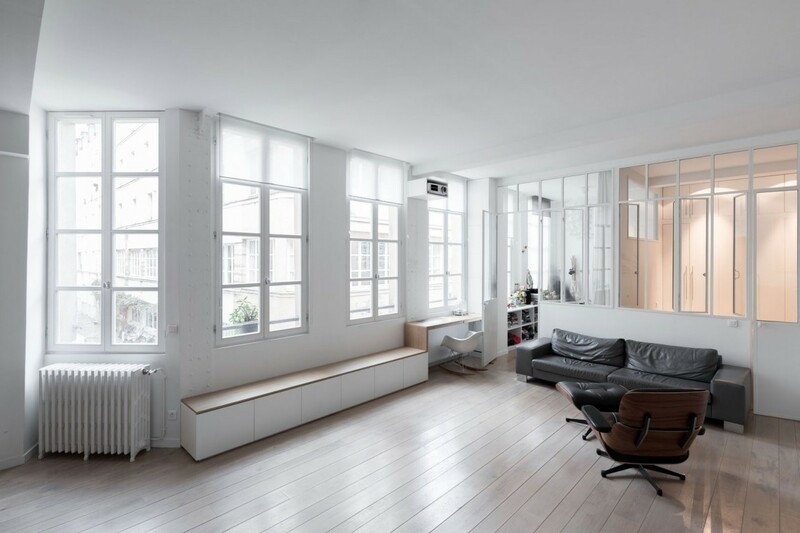 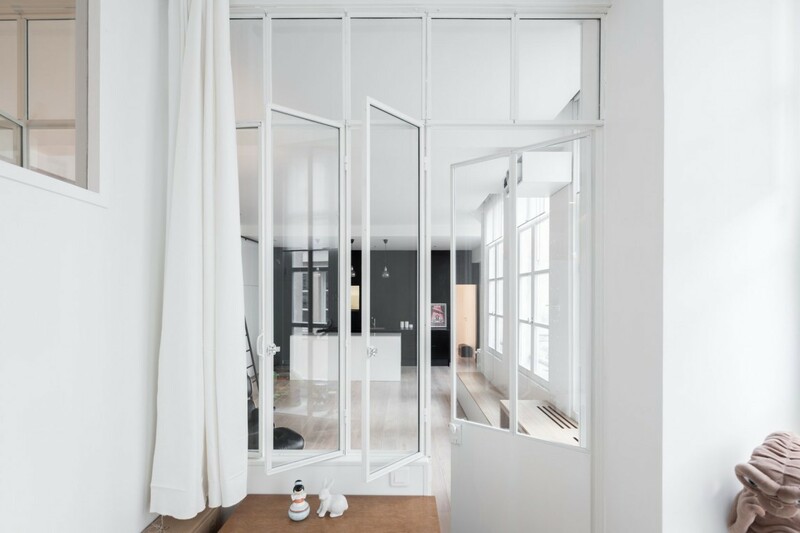 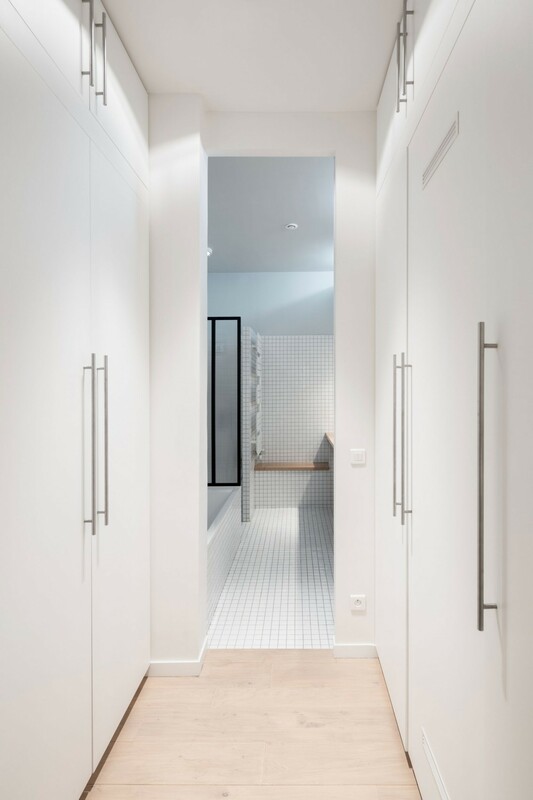 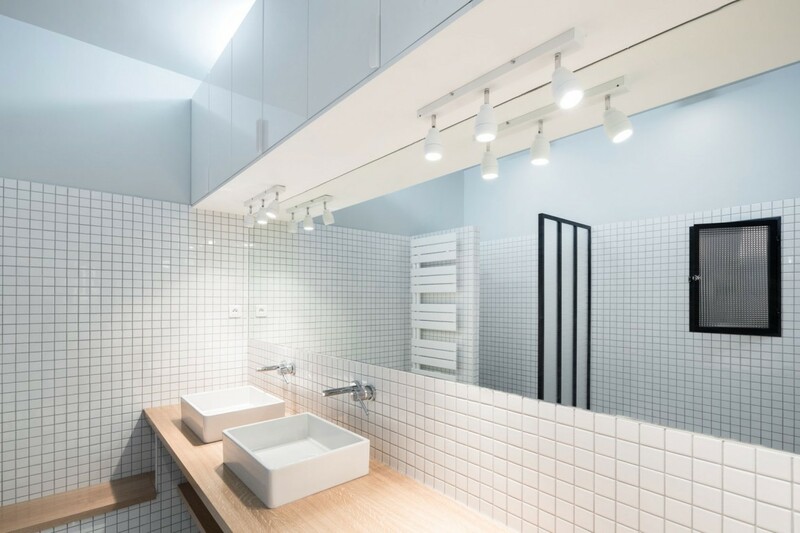 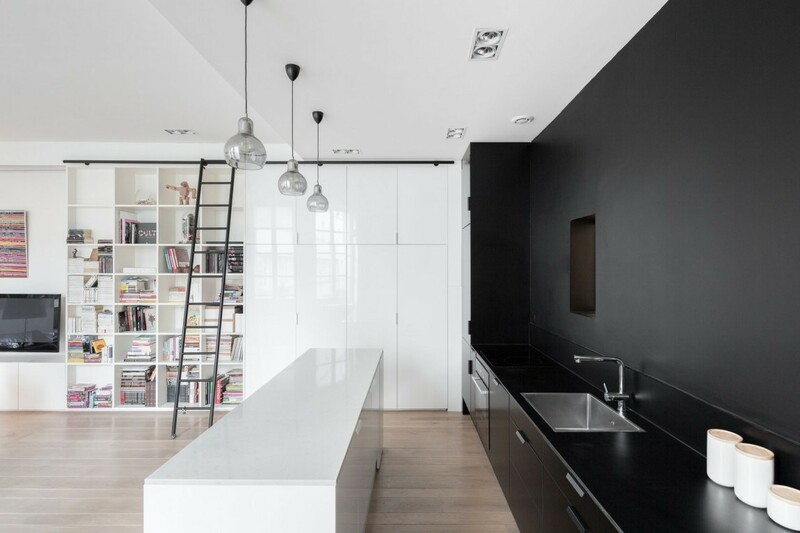 Parisian architecture studio Septembre, presents another beautiful apartment with white, wood and glass elements, multifunctional furniture and inside windows. 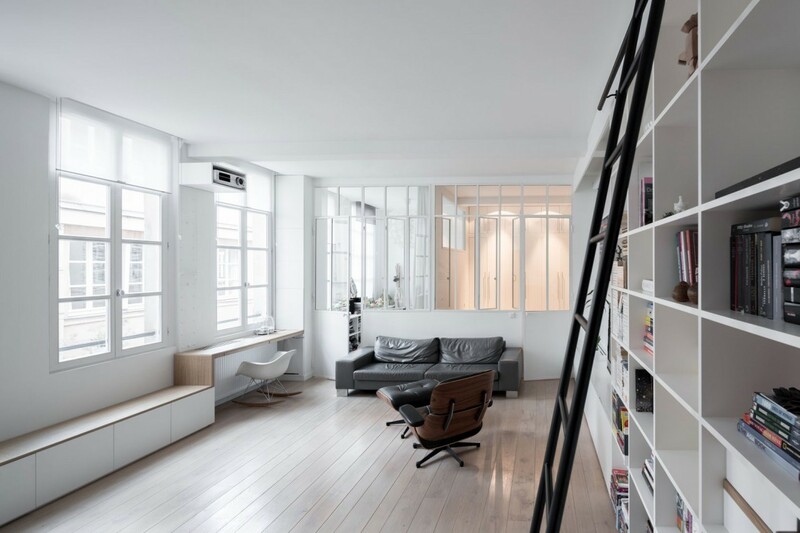 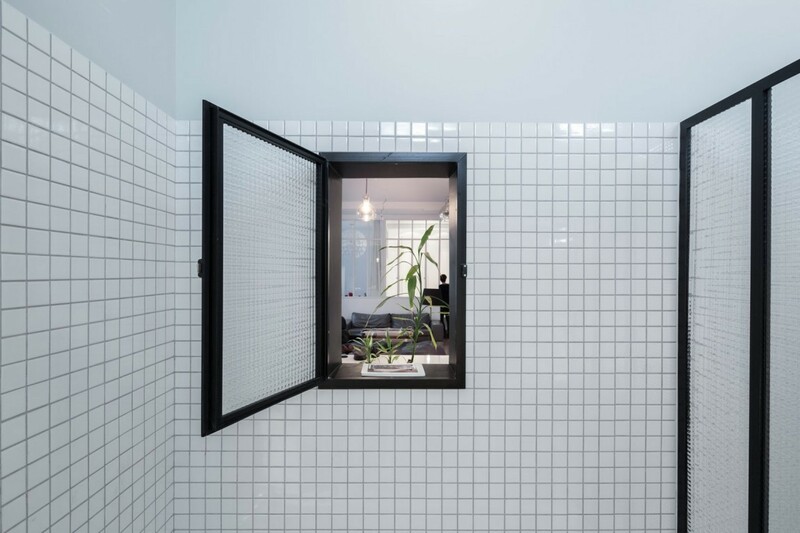 The conversion of a former manufacturing workshop in a Parisian alley to a family apartment. 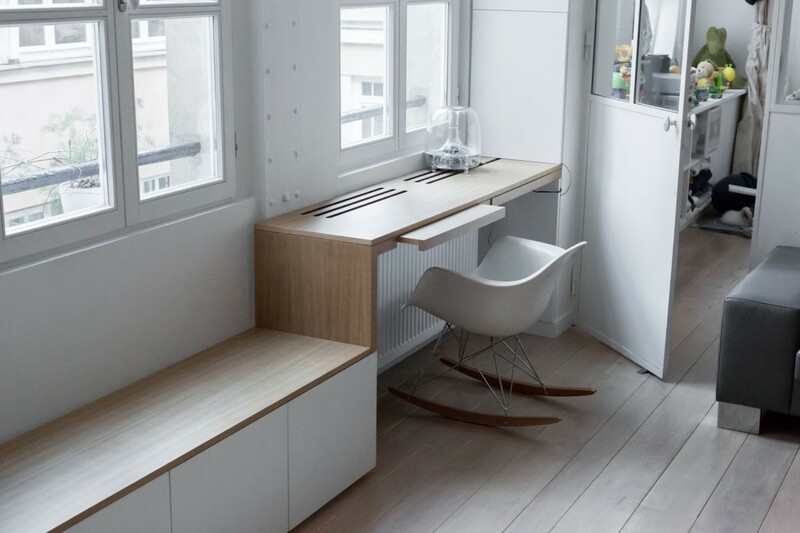 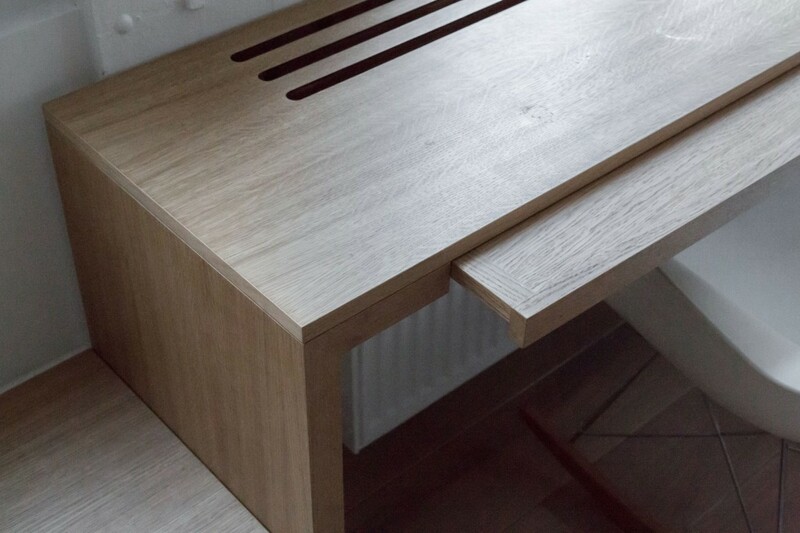 Multifunctional wooden cabinetry lines the perimeter of the space to open up the central living area.